Every Monday, a new Safety Tip of the Week appears in Fermilab Today, Fermilab's daily email publication for employees, users and subscribers. 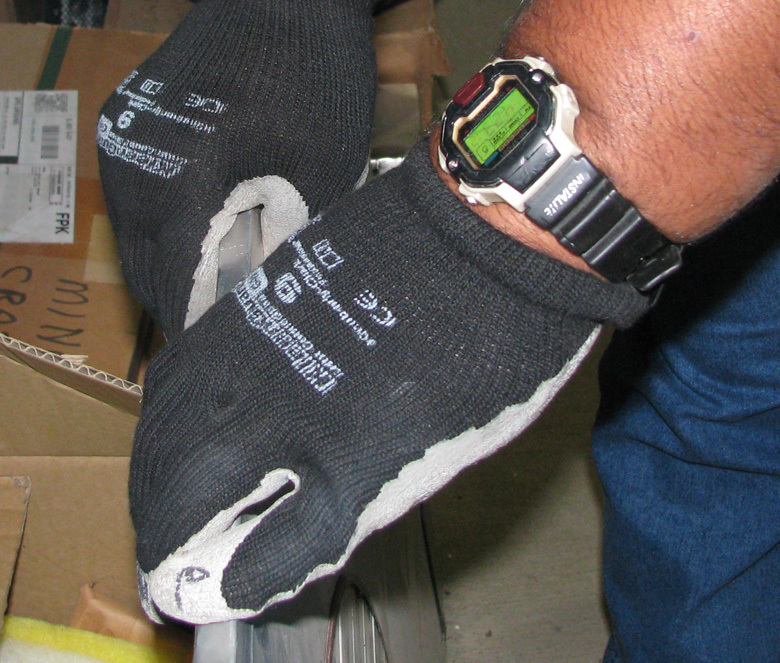 Safety Tips of the Week remind employees and users of ways to prevent injuries and illnesses. We hope that these safety tips will encourage you to work safely all week. Coyotes and geese are among the most visible wildlife species on our site, and they have the potential to interact with humans in a regular and significant way that can have implications far beyond Fermilab. The control of goose populations has become a growing issue in suburbs as a proliferation of detention and retention ponds has attracted larger, often year-round flocks. Contractors working with the Tune IT Up team have visited more than 1,500 desktop and laptop computers as part of their ongoing physical inventory. 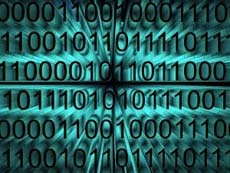 The information they gather is used to maintain and update the databases we use to help manage our computer systems efficiently, effectively and securely. The gathering process has been vetted against laboratory security and privacy policies. The contractors can find some of the information they are collecting, such as your computer's property number and location, without logging on to your machine. But they must be logged in to check if it has the inventory software needed to collect information Fermilab requires about your computer. 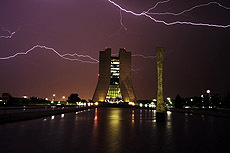 We all know that Fermilab is a premier high-energy physics laboratory. 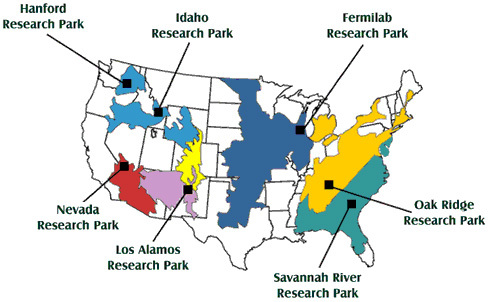 But did you realize that Fermilab is also one of only seven Department of Energy National Environmental Research Parks in the United States? These parks, or NERPs, began in the early 1970s at outdoor laboratories where research on major U.S. ecosystems could be carried out at a large scale. The first NERP was dedicated at the Savannah River Site in South Carolina in 1972. The study of natural systems' response to human activities is fundamental to the NERP concept. DOE laboratories offer a unique opportunity to take a close look at both the response and the activities that trigger the natural response. The Fermilab NERP was created in 1989 to enable the study of the tall grass prairie ecosystem. Since then, the Fermilab NERP has hosted more than 80 research projects from 24 universities, seven non-governmental research institutions (e.g., The Field Museum, Morton Arboretum) and federal and local agencies. Argonne National Laboratory has been a major contributor to this research for three decades. Investigators have studied the biogeochemistry of prairie soils, soil nutrient cycling, atmospheric carbon dynamics and, most recently, uses for prairie grasses as alternative fuel sources. Are your building exits safe? Having an emergency exit does little good if you can't get through it. For exits to be useful, people must be able to find and navigate through them. Fire codes govern the placement and design of these exits for the safety of the buildings' occupants. Recent safety inspections at Fermilab found some emergency exits or pathways to emergency exits that were obstructed. It is part of every person's job to make sure that exit signs, lights and pathways are working, unobstructed and up-to-date. Exit signs � The purpose of exit signs is to guide people to the best exit pathway in the event of fire or other emergency. You have probably seen them posted at exit doors and along paths of travel. Exit signs can fall short because they are not sufficiently apparent (due to placement or number), they are misleading, or, in the case of illuminated signs, because they are not lit. 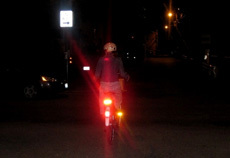 Exit lights � These help to identify the exit pathway as well as afford visibility under low-light conditions. Common problems are misdirected, broken or limited lighting. The early flu season driven by the H1N1 virus circulation has infected many in our area, but the Illinois case rate appears to be slowing. However, that doesn't mean you can let down your guard. The same slowing rate phenomenon was noted earlier in Texas and Colorado, which entered their H1N1 season some weeks before us. Changes in flu incident rates typically occur in waves of six to 12 weeks. A new tracking methodology announced Friday boosts the overall flu numbers even with the current slow down. This is because, unlike previous counts, the new methodology includes cases not confirmed by laboratories. This flu is unusual in its propensity to occasionally cause severe complications in pregnant women and children. Current U.S. pediatric deaths due to H1N1 stand at 114. During the 2003-04 flu seasons, 153 children died; 47 died during the 2004-05 season; 46 died during 2005-06; and 73 died during 2006-07, according to Centers for Disease Control statistics. In the past, we have warned employees about visits from Red Teams, groups of cybersecurity experts who work directly for, or under contract to, the Department of Energy. Red Team members are charged with testing whether federal cybersecurity standards are being followed at organizations within DOE, including the national labs. 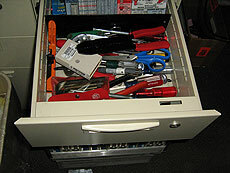 Red Teams often try to bypass our defenses by gaining physical access to laboratory computers. They may come to an office claiming to be a new system manager and say they need to install special software. If you give them access, they will attempt to install malicious software on your computer. Over the course of the next four or five weeks, legitimate contractors working for the Tune IT Up campaign will visit many people at the laboratory, and you will have an opportunity to put what you've learned to use. Contractors with the Kemtah Group, an IT organization, will visit Windows, Linux and MacOS laptops and desktops (not servers). They will have Fermilab contractor ID badges, and you may ask to see those badges or call the Service Desk at x2345 to confirm their identities. With the return of cold weather, many folks at Fermilab will seek the supplemental warmth of an electric space heater. Because these devices use electricity and generate heat, we need to think about their potential to produce electric shocks and fires. 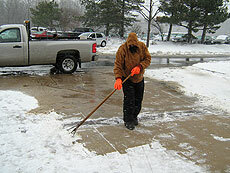 These hazards can be controlled by selecting the best heater for the situation and applying good practices. Get a safe space heater - Check for listing by Underwriters Laboratories (UL) or third-party certification ("FM" or "ETL"). Choose heaters that operate at lower temperatures, such as those manufactured with ceramic elements. 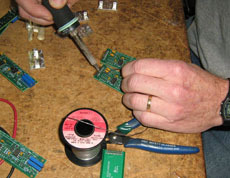 Look for the presence of a tip-over switch and a maximum temperature switch. A good choice is the 1,500 W ceramic heater available through Fermilab's Stock Room (#2800-100000). Click here for access to the lab's stock catalog. Follow manufacturer recommendations - Essentially everything you need to know about safe operation of the heater is written in the instructions. Key precautions are often summarized on equipment labels. 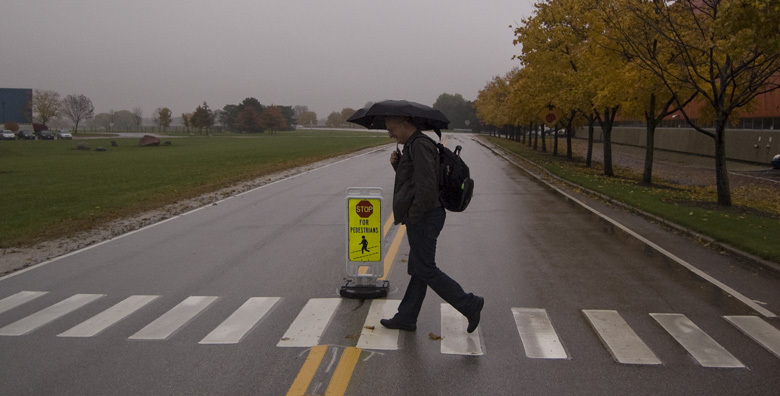 Drivers: Take note of the crosswalk signs posted on the laboratory site that say, "Stop for pedestrians." According to the Illinois Vehicle Code, drivers must yield right-of-way to pedestrians and permit a pedestrian to cross. We have received complaints that drivers are not taking these signs seriously and not slowing down to let a pedestrian cross. Some people have seen drivers speed up. Pedestrians: The same Illinois Vehicle Code says, "No pedestrian shall suddenly leave a curb or other place of safety and walk or run into the path of a moving vehicle which is so close as to constitute an immediate hazard." Flu season has just begun, and I encourage you to receive vaccinations against both the seasonal flu and H1N1 to protect yourself for the duration. H1N1 influenza poses the greatest risk now, but seasonal flu typically peaks in our area in February. 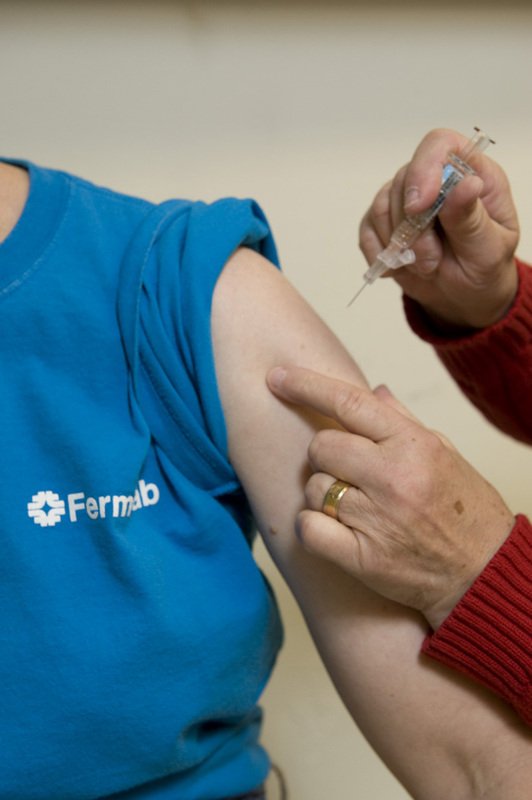 Fermilab's supplier will deliver the laboratory's share of seasonal flu vaccine by early November. Once the shipment arrives, Fermilab will offer employees the opportunity to register to receive the vaccination. Last year, Fermilab bought approximately $130 million worth of goods and services. Some purchases were extremely specialized, such as engineering and architectural services, but many were everyday items: gasoline, electricity, office supplies, vehicles, etc. As a federal facility, Fermilab must implement an environmentally preferable purchasing program that minimizes the impact of our purchases on the environment. We do that by specifying that a certain percentage of many items, such as paper, steel and concrete, contain recycled material. The guest speaker at Fermilab's annual Computer Security Awareness Day first came into contact with identity theft when he applied for college. "The university informed me that I already had an undergraduate degree," said Dave Monnier, senior systems engineer at Internet research firm Team Cymru. "Someone had taken out a student loan in my name." Whooping cough, caused by bordetella pertussis bacterium, was once thought to be solely a scourge of the young. But recent studies show individuals need a booster shot at least once in adulthood. The disease causes staccato coughing until the individual runs out of breath and must violently inhale more air, hence the �whoop� sound. The arrival of a vaccine in the 1940s eliminated most of the childhood cases and most people thought the disease was contained. An outbreak among some Illinois refinery workers in 2002 changed that thinking. A Centers for Disease Control investigation of that outbreak revealed that adults appear to lose the immunity gained by childhood vaccinations. 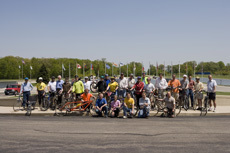 A couple of weeks ago, two graduate students on bicycles collided as they travelled in opposite directions on Fermilab�s bike path around 9 p.m.
Fermilab has a strong history of interacting positively with our environment. 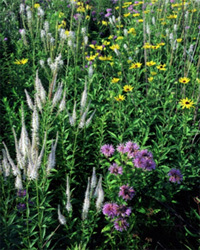 We have more than 1,100 acres of restored natural Illinois prairie, conduct regular prairie burns to get rid of invasive plant species and rebuild natural habitats, such as the award-winning Nepese marsh on site. To help maintain our natural resources, you need to know the impact your work has on the environment and work to minimize it. 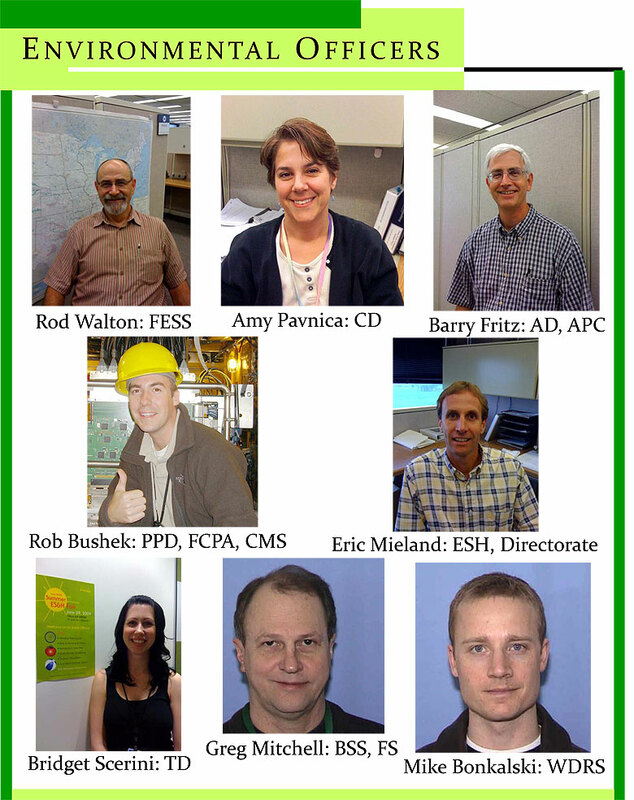 Do you know whom to talk to if you have a question about the environmental protection aspects of your work at Fermilab? Do your activities have the potential to pollute the water or air? Are you sure that the way you dispose of waste is appropriate? Even when you work in an office, do you use chemicals or other substances that must be treated as hazardous waste? Fermilab staff members are working to implement a flu plan in preparation for the potentially exceptional fall and winter flu season. In order to track the flu at Fermilab, all employees and users should contact the Medical Office at x3232 when they, or someone in their home, have the flu. This information will help the Medical Office advise employees and users about when to return to work. Medical Office staff can also give suggestions for preventing the flu�s spread through intense housekeeping, keeping distance from infected individuals, or, in extreme situations, using gloves and masks. Suppose you turned on your computer in the morning and it began to bark at you. Or suppose your curser began to move without you even touching the mouse. Would you report this as a computer security incident? Both of these incidents have happened at Fermilab. And they always should be reported immediately to the Service Desk at x2345. The first selection on the automated message will allow you to report a computer-security incident. At any time of day, a representative will take your information and page a member of the Fermilab Incident Response Team, who will then contact you. Portable ES&H monitoring instruments provide users with information about potentially hazardous conditions, but only if you know where to find them and how best to use them. At Fermilab, the most common monitors measure ionizing radiation and oxygen deficiency. In order for them to be useful, these instruments must be calibrated as well as available to the people who need them. 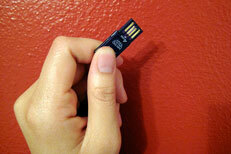 Unfortunately, smaller devices tend to get squirreled away, forgotten about and fall out of calibration. The number of instruments lost has been steadily increasing during each of the past five years, according to the ES&H Section�s Instrument Calibration Team Manager, Butch Hartman. During some health risk appraisals, I�ll occasionally glance at the notes in the patient�s chart and inquire about a recent trip. Some employees appear astonished that their recent business trip was known, let alone logged, at the Medical Office. 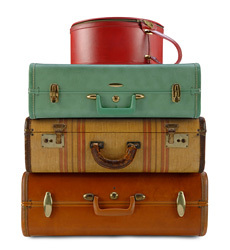 Our interest in your travel is purely focused on prevention. 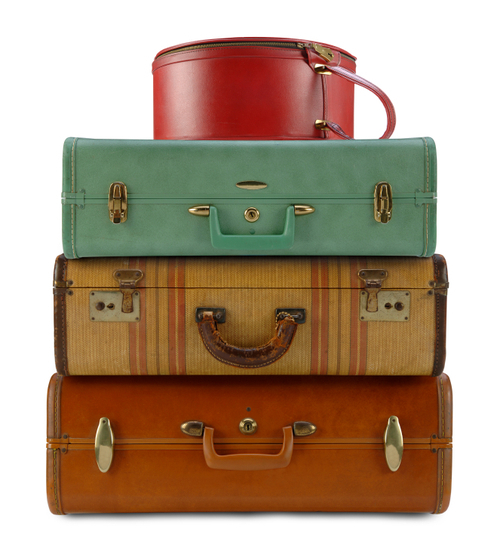 The Travel Office provides us with specifics so that we can target our advice to your specific destination, time frame and activities. A positive environmental story has been the ongoing reduction in ozone-depleting substances in the atmosphere. 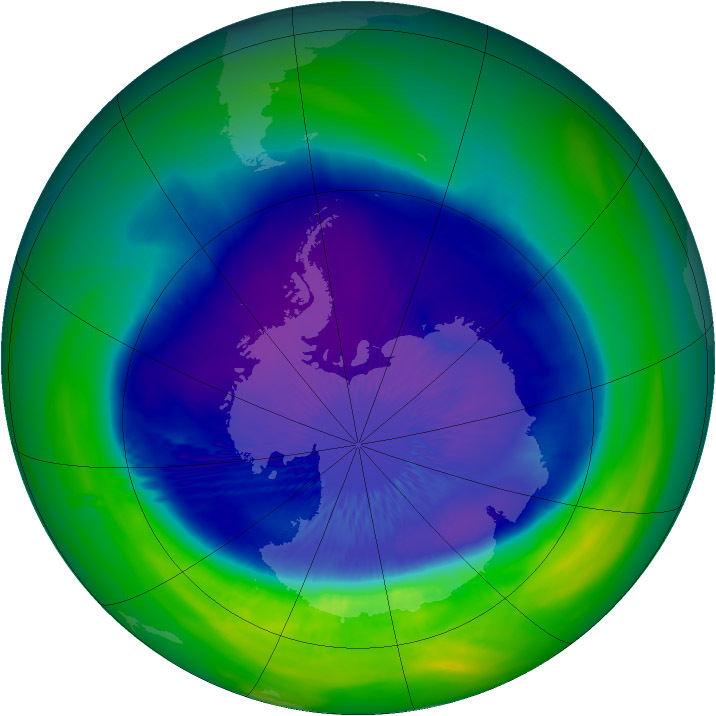 More than 40 years ago, the United States began replacing chlorinated hydrocarbon refrigerants such as Freon� with compounds that had less ozone-depleting potential, or ODP. One of the most popular of these compounds is R-22, a refrigerant that has largely replaced the older generation of refrigerants. During the past few weeks, Fermilab�s computer security incident-response team has been tracking an epidemic. A single virus infected multiple machines multiple times. As it turns out, employees were spreading the virus by sharing a single flash drive, a data storage device that plugs into a computer�s USB port. 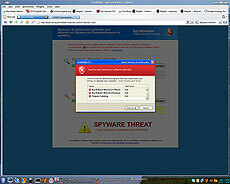 One reason for this virus�s quick spread is a computer setting. Most Fermilab computers are set to run automatically anything you plug or insert into them. By the time you see a small pop-up window asking what action you would like to perform, your computer has already been exposed to any viruses the flash drive or removable media may contain. When you look into the distance your eyes are relatively relaxed. When you focus on something nearby, your eye muscles get a work out. It's summer in Chicago and that means heat and humidity are high, which can pose challenges for exercising. If you are unaccustomed to exercise in these conditions, give yourself a chance to acclimatize by building up your workout routine. It generally takes about two weeks for the body to fully adapt to warm weather. The body typically cools itself by increasing surface blood flow, or relying mainly on evaporation on a windless day. Add humidity, and our body�s air-conditioning system is severely taxed. Staying hydrated can help. Electrolyte replacement is critical for ultra-endurance events, but for most exercise, the body can catch up on losses from perspiration through a normal diet. Your morning cup of Joe may help you get through the day, but it could also help you to save money and the Earth. Fermilab�s cafeteria is working to minimize waste, and you can help. 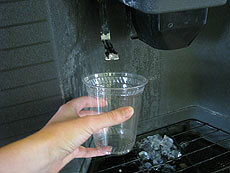 New recyclable and biodegradable water cups are now available near the water dispenser. These clear cups are made from corn, a 100 percent renewable resource, and are completely biodegradable � natural microorganisms can break down the cups. The cafeteria is making other efforts to reduce waste. Environmental officers at the ES&H fair handed out cups and reminded people about the importance of reusing. The cafeteria staff is hoping employees will use these cups. Using reusable cups will reduce waste and save money: 5 cents is taken off the price of a 12-ounce drink, 10 cents off a 16-ounce, 15 cents off a 24-ounce, and 25 cents off a 32-ounce hot or cold beverage. Two weeks into the shutdown, things have run smoothly and people have mostly avoided injury. We want that to continue. In the Accelerator Division, we have set a goal of zero injuries for the shutdown, a high bar considering the work is taking place with roughly half the number of technicians used during the 2007 shutdown. During the 2007 shutdown, workers received seven injuries. All of them could have been prevented. While we plan to complete the shutdown in September, keeping people safe is more important than sticking to the schedule. To shut out injuries, we must watch equipment and each other. Have you ever wondered how easy it is to crack a password, and how it's done? Attack methods for cracking passwords include simple techniques such as guessing, especially if the attacker knows something about you such as your birthday or your dog's name. So don't base your passwords on information someone might easily know about you. A slightly more sophisticated method is called a "dictionary attack." This method uses words straight out of the dictionary to see if they work as your password. A "brute force" attack relies on trying every possible combination of characters, and in theory will always be successful given enough time. But if you choose a long enough password, the time required to run all the possible combinations becomes so long that it is not practical. "Rainbow tables," available in the hacking community, are a compilation of all the encrypted forms of passwords, so that it's only necessary to look up the original password once the encrypted form of the password is known. Simple four- or five-character passwords can be cracked in the few seconds it takes to return a result from the lookup. This technique also gets more difficult as the password length increases--another good reason to use a long password. Although we all hope that drivers stay focused and attentive to the operation of their vehicles, a plethora of potential distractions provide detours from safety. 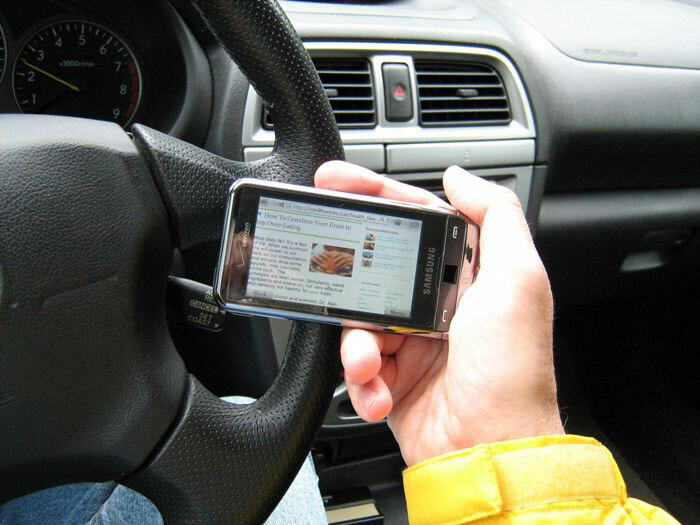 Drivers are engaged in some sort of distracting activity more than 15 percent of the time their vehicles are in motion, according to a 2001 study by the University of North Carolina Highway Safety Research Center. Distractions include: eating, smoking, reading, interacting with passengers, looking at scenery and fiddling with items inside the vehicle that move or fall over. Some simple measures can literally help save your skin this summer from ultraviolet light medium waves (UVB) that cause sun burns and long waves (UVA) that accelerate skin aging. The best precaution is to monitor when you expose yourself to sun. High-risk times are from 10 a.m. to 3 p.m. because UVB intensity peaks then. When in doubt about the local UV peak, apply the rule of thumb that if your shadow is shorter than your height, be wary of sun exposure. Also don�t get fooled by clouds, which may make it appear the threat from the sun has dissipated. Under the right conditions, UV radiation may in fact increase on shady days over what would be present on a clear day. Water and sand also reflect UV light, increasing risks even in areas that appear shaded. The hot sun, cool breezes and lazy summer days entice people to spend time in the great outdoors. But whether you�re camping, hiking or just walking the dog, be careful of some perennially troublesome summer pests: poison ivy, ticks, insects, and gypsy moths. Poison ivy can transform a pleasant walk into an unpleasant, itchy experience. The plant secretes oil that produces an allergic skin reaction in most people. Learn to recognize and avoid poison ivy. If you have been exposed, wash off the oil with warm soap and water. If you develop a rash, use hot compresses, calamine lotion or antihistamine creams to control the itch. Avoid scratching to prevent infection. You may have noticed some boxes on the walls of various Fermilab facilities. 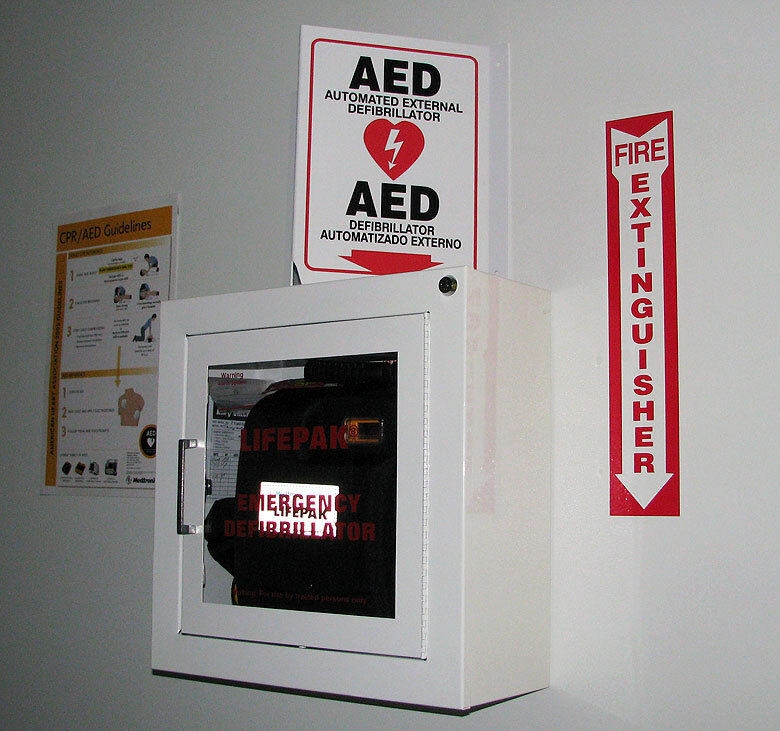 This is part of an initiative to put defibrillators in public areas of the laboratory as well as near accessible electrical circuits where they have been for some time. The use of Automatic External Defibrillators (AEDs) can increase survivability by 31 percent, compared to a 6 percent survival rate through use of CPR alone. Science has established that the heart goes into fibrillation in response to an electric shock resulting in a disorganized quivering of the heart muscle. 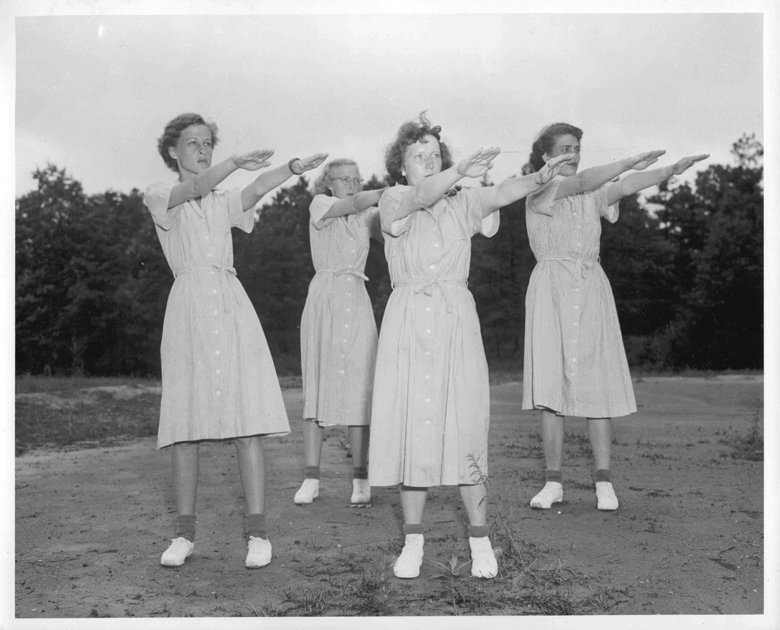 It�s the lack of effective blood flow in this rhythm that kills. This electrical link was first discovered by Danish naturalist Soren Abildgaard, who observed in 1775 that electric current can render chickens lifeless. Fermilab�s ES&H Section is kicking off a fitness program that includes a naming contest and prizes for people who continue to exercise track during the next three months. Aerobic physical activity can reduce the odds of having heart disease, stroke, type 2 diabetes, high blood pressure and high cholesterol. In addition, strengthening exercises can improve muscle and bone strengthwhile making individuals less prone to injury. According to the U.S. Department of Health & Human Services, adults should engage in aerobic exercise at least three days a week and strengthening exercise two days per week. The duration of aerobic activity should be at least 2 1/2 hours per week, of moderate-level activities such as brisk walking, slow biking or gardening. In addition, each exercise period must be at least 10 minutes long. Strengthening exercises should work all the different parts of your body: legs, hips, back, chest, stomach, shoulders and arms. Exercises for each muscle group should be repeated 8 to 12 times per session and can include lifting weights, sit-ups or working with resistance bands. It�s been at least two weeks since the sentinel cases of swine flu in Mexico emerged. Scientists now prefer to reference the virus as its scientific name: H1N1. As each day passes, the medical community has a better picture of the H1N1 virus� behavior. The fact that this particular virus is a �type A� means it does have the potential to spread rapidly. The newness of the virus means that many will not have immunity from prior year�s infections or vaccinations. This all can sound very frightening. However, we have seen seemingly menacing viruses turn docile before, including the 1976 �swine flu� strain. 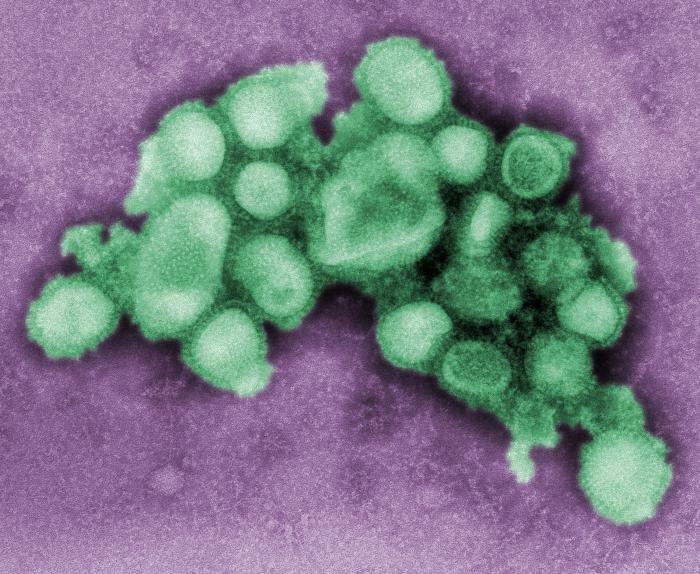 This virus started with a bang, killing a healthy 19-year-old recruit soldier at Fort Dix in New Jersey. There were dire predictions of a worldwide crisis at that time. Fortunately, the virus changed over time and left with a whimper. Fermilab is justly proud of its tradition of caring for the land in a way that recognizes the importance of functional ecosystems and embodies a respect for nature, and provides a good model for how to make your yard more ecofriendly. Since 1975, we have managed a significant part of the laboratory by mimicking the natural ecology of tall grass prairies � the ecosystem that once dominated northern Illinois until the 19th century. We also nurture and develop wetlands, woodlands and open water ecosystems. When I first got onto the Internet in 1985, Internet crime was non-existent. 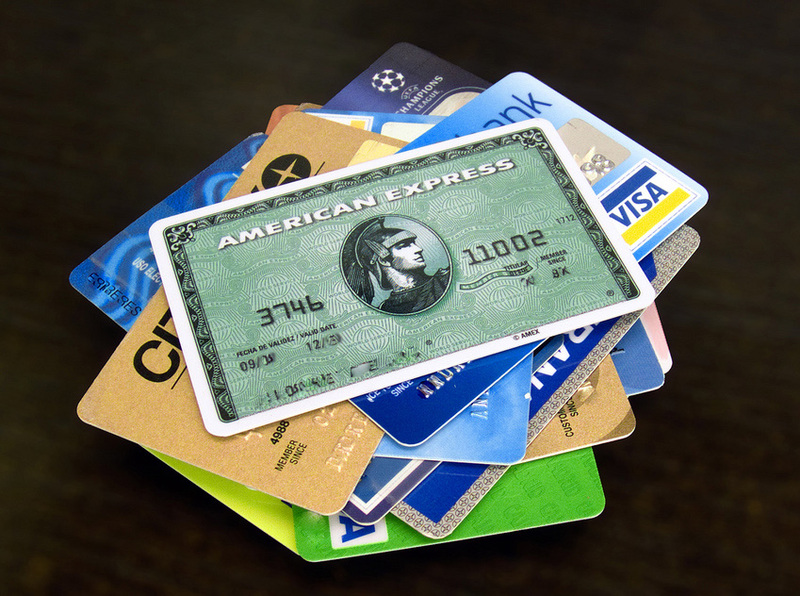 Commercial spam wouldn�t happen for almost a decade. For most of us, the first glimpse of malicious activity on the network was the infamous Morris Worm of 1988, which required large amounts of effort to remove from crippled machines, but caused no other damage. When I became formally involved in computer security, the adversaries were a mixture of adolescents "counting coup" on as many computers as possible, promulgators of political messages and occasional spies or would-be spies stealing files from poorly secured government computers. Fermilab's Sitewide Emergency Warning System, dubbed "SEWS," is composed of various components. The laboratory has a number of outdoor sirens like those used in nearby communities. These sirens sound for tornado warnings or national emergencies, but not for tornado watches. When these sound, you should go to a tornado shelter or other safe location. Baseball and tennis season is beginning, and whether you play or not, you can take away from the field and court tips to make your life safer and healthier. Have you ever noticed pitchers and serving tennis players tilt their shoulders so that the shoulder opposite the ball or tennis racket is dipped? There is an advantage to that form. Observation shows that in dipping the shoulder, the space between the neck and raised arm is widened versus simply raising the arm over head with shoulders level. This dipped position leads to less pressure on the nerves of the neck. Some physicians feel that this same position also places less strain on the rotator cuff, the series of tendons attached about the shoulder �socket.� This same position also can deliver a more effective stretch of the neck and shoulder muscles during warm up. 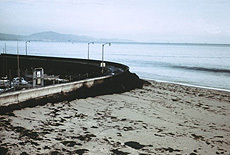 Have you ever heard of the Santa Barbara oil spill? In January of 1969, an oil drilling platform six miles off the coast of Santa Barbara, California, suffered a blowout that resulted in a major ecological disaster as 3 million gallons of crude oil gushed into the Pacific Ocean and decimated marine life. The public outcry resulted in passage of numerous environmental laws, including the National Environmental Policy Act of 1970, which applies to everything that we do here at Fermilab. NEPA established a framework to insure that environmental factors receive the same consideration as others in decision making for activities involving federal funding, land or permits. 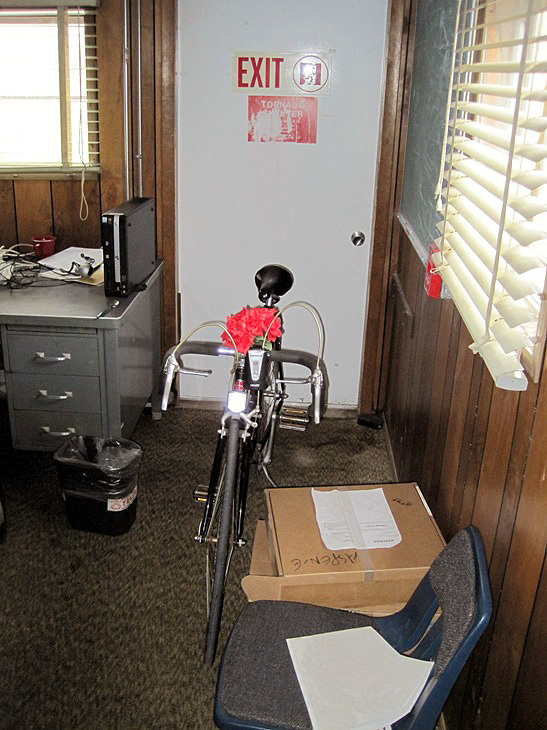 Computing Division employee Anita (fictitious name) was home one evening when her phone rang. Her husband took the call. The caller asked for her by name and would not leave a return number. When they called again Anita took the call, and the caller knew, or guessed, that she was running Windows XP on her computer. 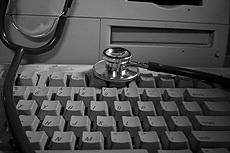 They stated they were from the Microsoft support center and had received an automated diagnostic message from her computer that indicated it was running slowly. They wanted to help her fix the problem. When Anita asked for more information about the message, such as a date stamp or error code, the caller changed the subject and indicated that Anita had downloaded malicious software and they needed to remove it or her hard drive might become corrupted. The caller gave her a Web site to connect to so she could download the fix. The Chateaubriand steak Chez Leon offered to celebrate Valentine�s Day left one retired Fermilab employee temporarily breathless. Don Carpenter choked during his meal, terrifying his wife but inspiring many current and retired Fermilab employees to brush up on their first aid skills. 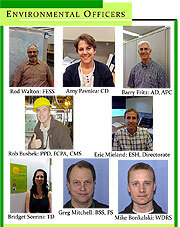 Accidents at Fermilab are much like those that occur in other workplaces. Similarly, prevention boils down to dealing with a relatively small number of issues. Here are five questions to keep in mind and keep you safe as you go about your daily activities. 1. Can I stay focused? Lack of attentiveness is a factor common to most accidents. Be conscious of things that can affect your attentiveness level: illness, medications, a mental workload that is too low and boring or too high and stressful. Try to put off jobs until you can focus fully or break jobs into smaller segments to avoid mental fatigue. 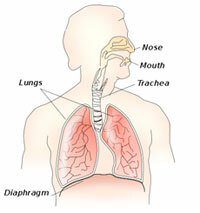 The neck is a very complicated structure. A variety of processes can cause pain, but there is some commonality in terms of prevention and initial treatment. Preventing a condition is always preferential to treating it later. To prevent injury, pay attention to your neck�s position. Keeping your neck in its natural position is a challenge, particularly when you are tempted to slump in your chair or flex your neck forward to get a better look at something. If this becomes a habit or a prolonged behavior, it can set the body up for neck pain and injury. The term environmentalism has many definitions. To most, it means protecting the environment from pollution or destruction. Ted Nordhaus and Michael Shellenberger, authors of a controversial 2004 paper titled �The Death of Environmentalism,� talk about environmentalism as a strategy that fails in the 21st century. 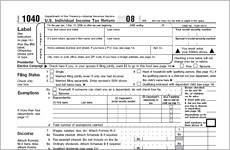 We've received our W-2s, and many of us are thinking about tax software and filing electronically. This is also the time of year we usually get one or two questions about using laboratory computers for preparing taxes (sometimes in the form of a helpdesk ticket to have tax software installed). While the laboratory's Policy on Computing allows some incidental use of laboratory computers, it you probably don't want to have your taxes - or other personal information you want to keep private - on them. Working with lead offers the advantages of malleability, density and resistance to corrosion, but requires extra safety precautions. At Fermilab, the greatest quantities of lead reside in shielding and target material used as part of experiments. Lead also serves as solder to hold parts together and as an ingredient in some older paints. 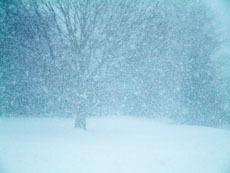 The winter look of barren trees you see today could return this summer. The culprit? 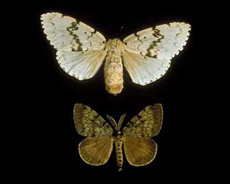 The gypsy moth, Lymantria dispar. Introduced into North America from Europe in the mid-19 th century, this pest, spotted at Fermilab last year, has been a persistent threat to healthy forests. 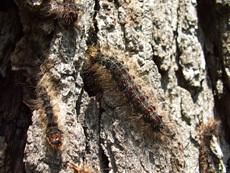 The gypsy moth caterpillar has a voracious appetite for tree foliage, especially oaks. A typical infestation can strip a mature oak tree of its leaves within a few days. 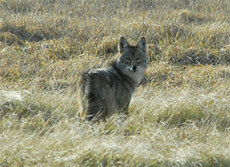 Last summer, Roads and Grounds spotted a large infestation of these pests in the area of the fire station and Site 38. Later in the year, our �moth scouts� spotted numerous egg masses on the trunks of trees throughout the laboratory, so we can expect a large influx of hungry caterpillars in June or July. Almost 100 percent of the leaves on many oak trees will disappear. In reviewing cases, I�ve noted that many people get shoulder injuries on and off the job. One injury pattern, commonly called a bone spur�s impact, is easy to lessen or even prevent with a simple exercise. Winter weather adds new driving challenges and increases accidents, even among motorists who have answered the laboratory�s call to improve traffic safety. Fermilab employees and users decreased overall traffic accidents by 20 percent between 2007 and 2008, but saw snow-related accidents rise 15 percent during that same time. Slips on ice and snow-covered surfaces commonly cause accidents at Fermilab during the winter months. While FESS's Roads and Grounds Department tackles this problem every year, it will put particular focus on frequently used areas, said Mike Becker, department head.